Hey all! 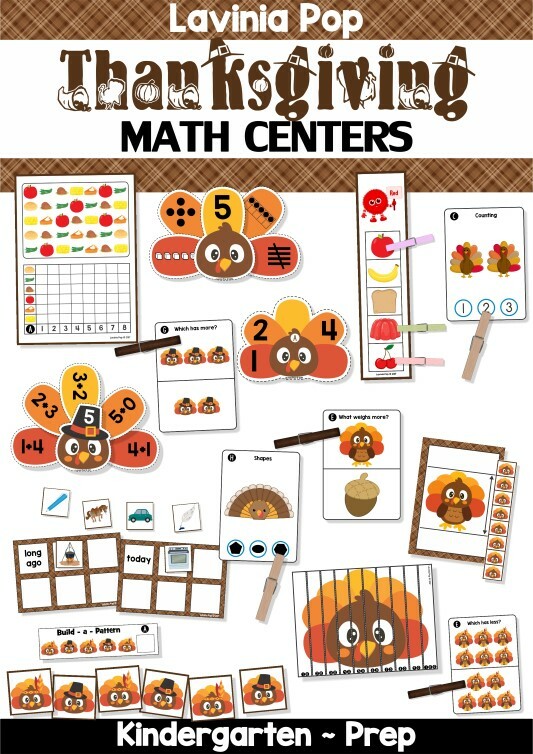 I’m back again to show you the activities included in the Thanksgiving Math Centers for Kindergarten. PLEASE NOTE: This blog post contains sample pages from my Thanksgiving Math Centers for Kindergarten packet. You can download the free sample pages by clicking on the photos. 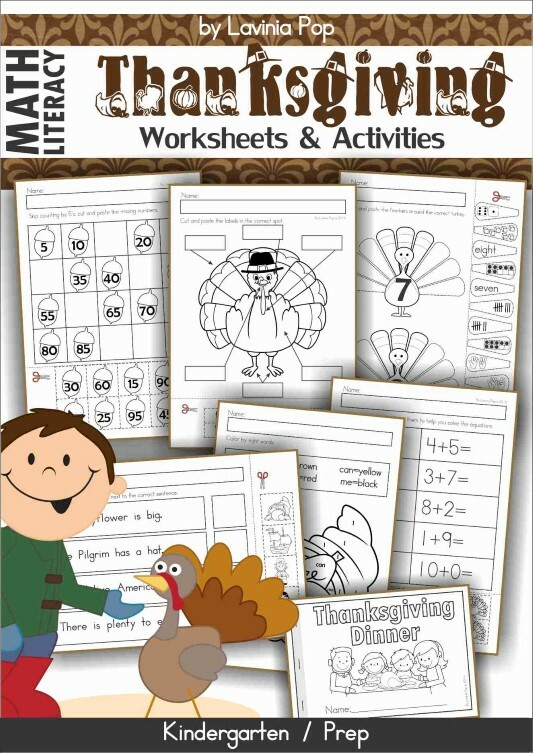 To purchase the complete Thanksgiving Math Centers for Kindergarten packet, please click here! 1. Thanksgiving count and clip cards. 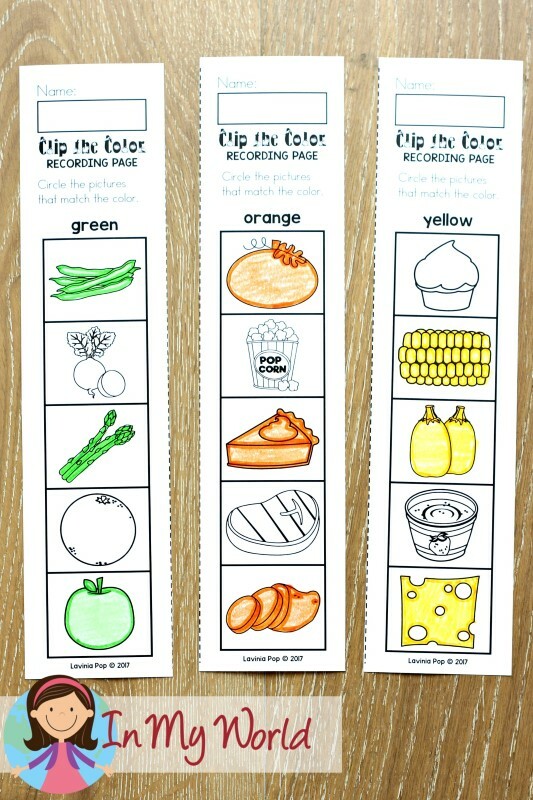 These are basic counting cards that require kiddos to clip a peg on the correct answer and then record their answers on the recording page provided. 2. Turkey counting on (1-10). This activity’s level of difficulty gradually increases. Kiddos start off by writing a couple of the missing numbers on the first handful of cards and then, by the last handful, they are given only the starting number or a middle number, from which they have to count on (and count backwards). 3. Thanksgiving Which has More? clip cards. Kiddos simply clip the box that contains the most items. On the recording page, they color either the top of bottom box to show where they clipped. 4. Thanksgiving Which has Less? clip cards. 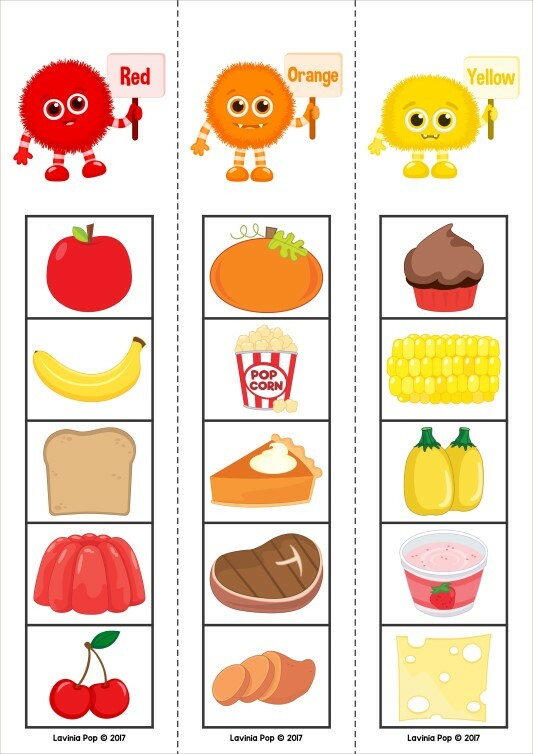 This is the same as the “Which has More” activity, only the focus is on the box with the least number of items. 5. Thanksgiving count and graph (1-8). Kiddos simply count the number of items and represent their findings on the bar graph below and then by writing the total number on the recording page. 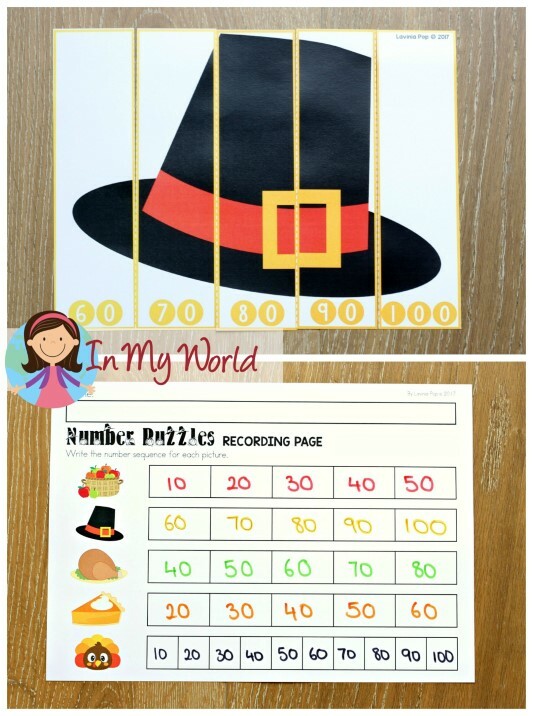 This is a super cute turkey activity to help your children with different number representations. 7. Thanksgiving number puzzles (skip counting by 10s). This is a great activity not only for number sequence, but also comparing numbers to determine the first number with which to begin the sequence. Kiddos need to work out the sum of each equation and then sort it to the correct turkey. On the recording sheet, for your higher kiddos, you could ask them to write one different equation. 9. Build a Thanksgiving pattern (AB/ABB/AAB/ABC). Kiddos build the start of the pattern and then figure out what the missing picture is. 10. Turkey clip the shape cards. This is an easy way to help your kiddos recognise shapes. 11. Thanksgiving non standard measurement. I have included a turkey measuring strip for this activity, but decided to use Unifix cubes this time around. 12. Thanksgiving Which weighs More? clip cards. This is similar to the What has More/Less activities. 13. Thanksgiving dinner clip the color. 14. Long ago and Today sorting. Seeing as the topic is Thanksgiving, I thought it would be perfect suited to sort things from long ago and today. If you’re still thinking, “I don’t have time to prep all that!” then you may find my worksheets packet more suitable! Please click here or on the picture below to check it out in my TpT store!